A Case Study. 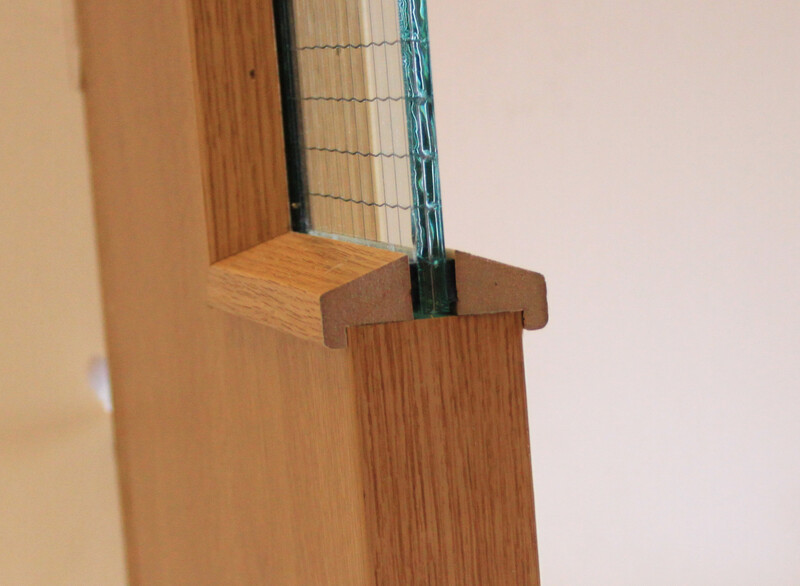 Michael Pepper Joinery. In April 2012 C.G.I. 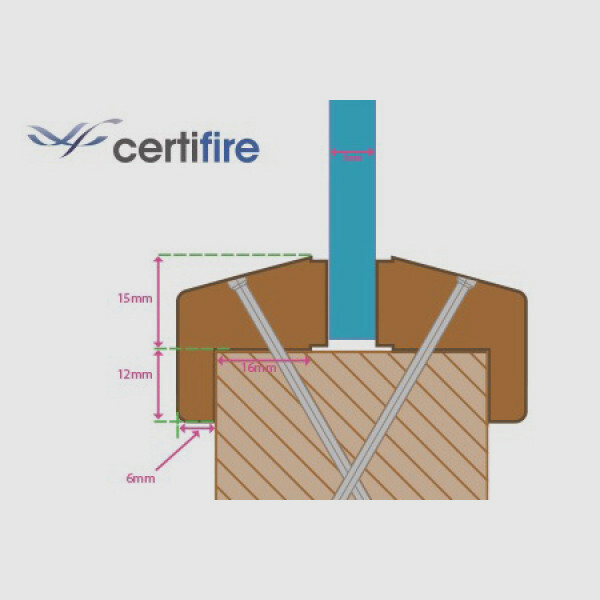 gained Certifire test evidence CF257 for their Pyroguard product using a seal that costs less than traditional glazing seals. The seal had another benefit, Andrew Warren, Commercial Director of Morland takes up the story. 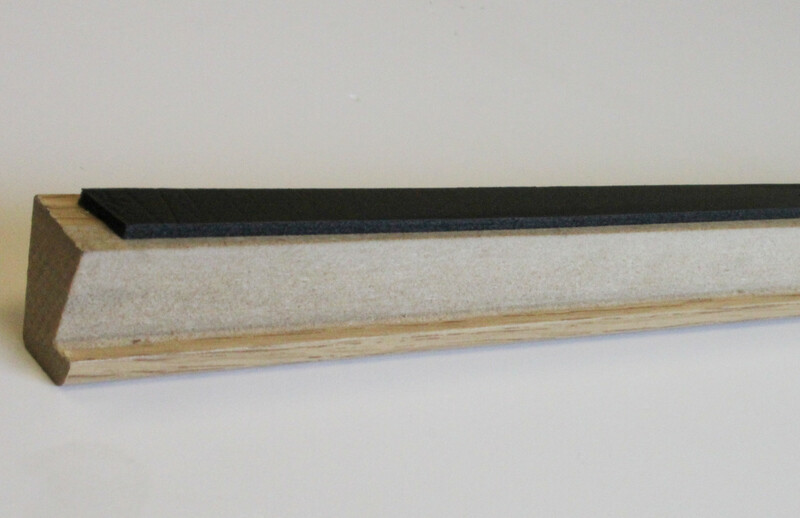 A typical hockey stick 25mmx21mm bead in MDF costs around £0.70p a metre and with the tested C.G.I seal this increases to £1.00 a metre. Depending upon the species hardwood bead 2 X 50 x 25 sawn section would cost anywhere between £0.50p to £1 a metre. Purchased as a fully finished moulding that figure increases to between £1 and £2. Mould your own costs are hard to prove but most estimators use £0.50p a metre for moulding and £0.20p for lacquering. So a typical lacquered hardwood bead in oak is circa £1.20p a metre increasing to £2.20p for the likes of walnut. Seal costs vary between £0.60p a metre for a basic FD30 strip to over £2.00 a metre for U channel systems. No labour time to apply seal. The bead is supplied in 3m lengths with no knots, twisting or warping so yields are much higher than with irregular lengths of hardwood. Can be used with Pyrobelite, Pyrosec 7/30, Pyrodur Plus, Pyroguard, Pyrostem & Pyroshield Safety glass. Minimum order quantity of 4 Lengths.